Q. How do I use LitFinder to find a story my professor has assigned? In LitFinder you can search for the title of a story directly main search box. 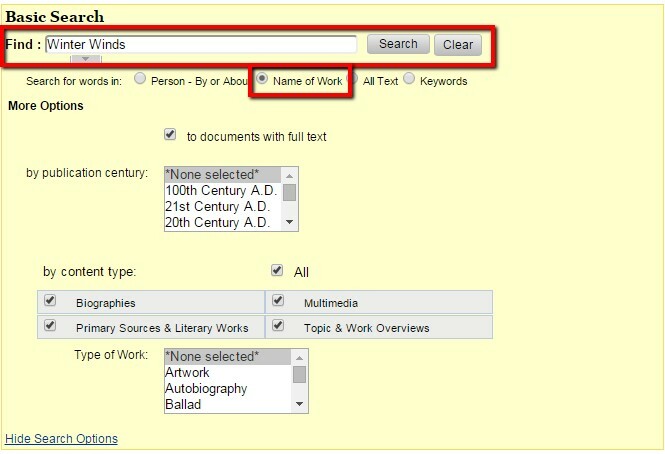 Select the “name of work” option to search only for titles. You can also search by author and/or topic. To access LitFinder, click the library tab in the Engage/Canvas portal page. Then select “A-Z databases.” You can search by Subject from the "All Subjects" drop-down menu, or by selecting the letter of the database.